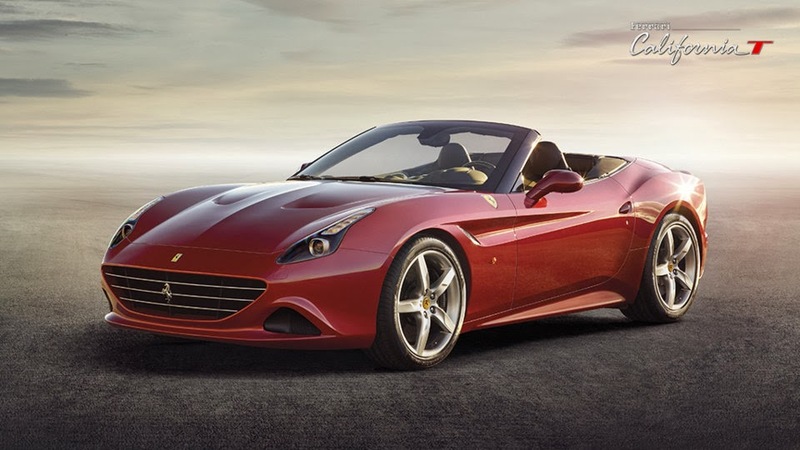 Ferrari has just released today, images and specs of their new California T. It's like a mix of the Berlinetta and the California with a retractable hard top convertible housing a Turbocharged V8 that pushes out 552 horsepower. 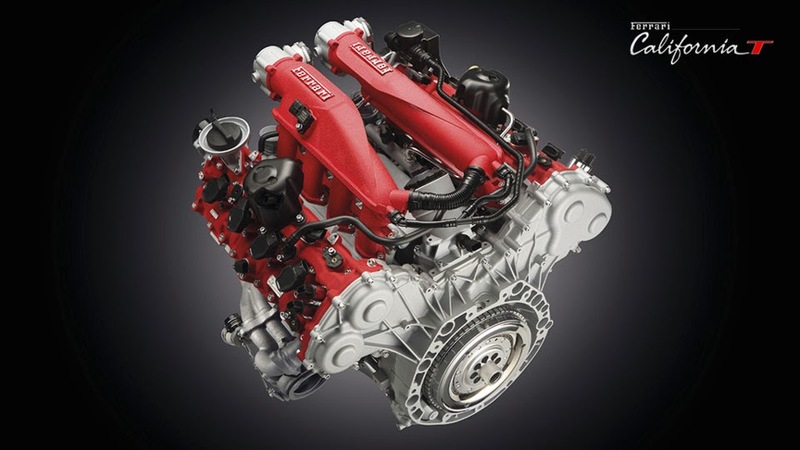 The 90degree V8 engine revs with increasing torque up to 7500rpm. What is interesting is the new engine placement as a "mid-front." With the engine bolted in a low position on the OMR chassis, the center of gravity is in a great spot for handling and performance. Another interesting spec is the weight of the car. It's 47% front and 53% rear. At first I was confused on the design of this especially from a mid-front engine, but when it comes to handling and achieving a 3.6sec 0-60mph time, a bit more weight in the back would really help the car stick and go. 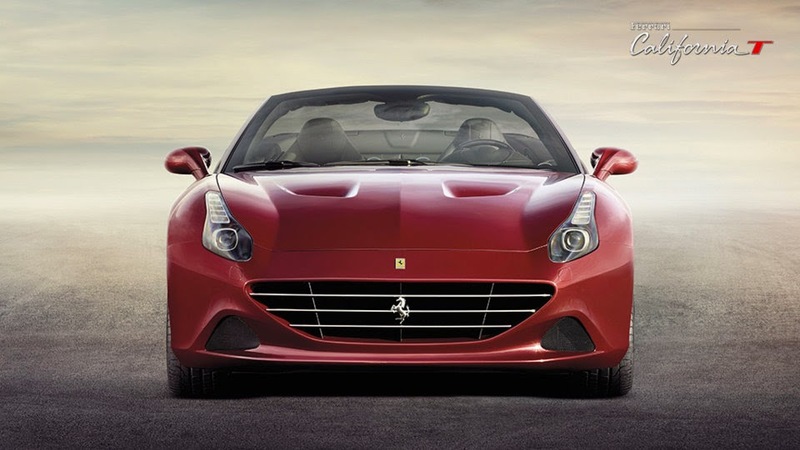 "Sporty, elegant, versatile: that’s the Ferrari California. 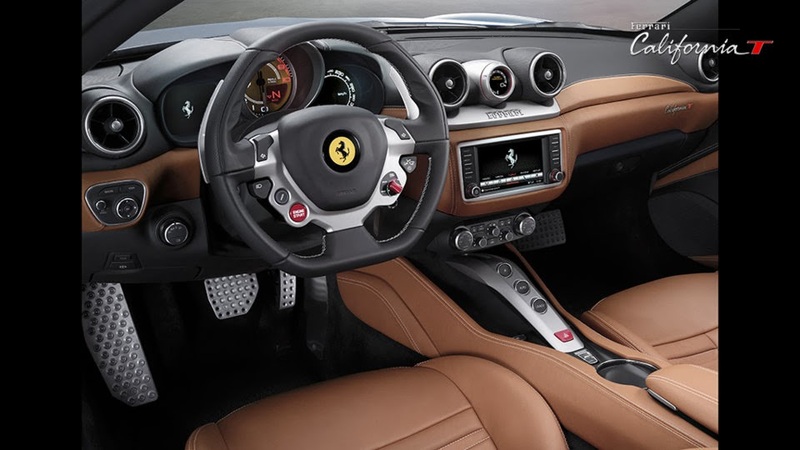 Since the 1950s, in fact, this particular model has been the Prancing Horse’s finest embodiment of all three characteristics. Now, however, the new California T adds a radical innovation to that honourable tradition whilst still retaining the model’s highly renowned versatility. exceptional performance underscored by blistering pick-up due to zero turbo lag and a torque curve that adapts to suit each gear change. 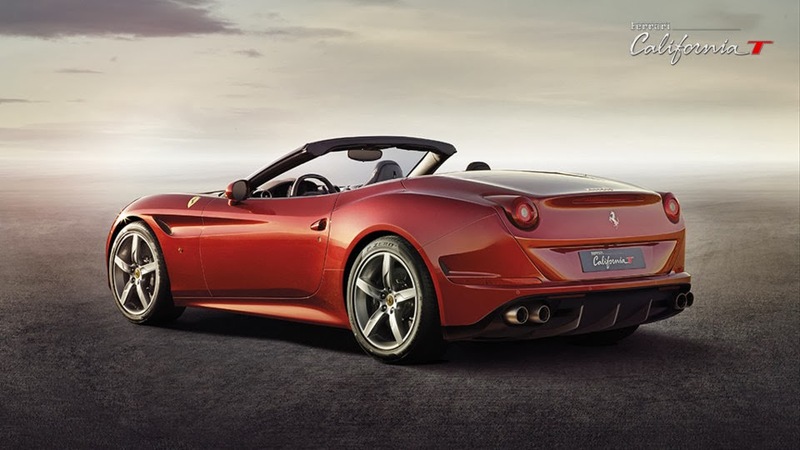 Equally, the retractable hard top or RHT transforms the California T from a chic coupé into a sleekly sophisticated spider in a mere 14 seconds. A refined semi-aniline leather-trimmed cabin also offers the modular spaces of the signature 2+ configuration and underscores the car’s extraordinary versatility."